It's so sad how these men keep getting slaughtered like rams.Bangladeshi police should be pretty embarrassed about this,what more proof did they need that this mean were going to be killed?It's really sad especially as the latest victim warned the police about the threat to his life. death on Saturday, October 31, in the Bangladeshi capital, Dhaka, police said. Hours after his killing, similar attacks wounded two secular writers and another publisher. 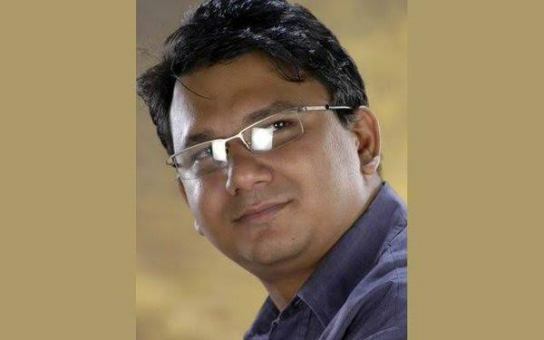 The 43-year-old chief of the Jagriti Prokashoni publishing house published books by Avijit Roy, a US citizen of Bangladeshi origin who was murdered in the same way in February. The body of Arefin was found inside his office. The perpetrators, who pretended to be customers, had locked the office before carrying out the attack, police said. "I rushed to his office at Aziz Market and broke the padlock, and I saw him lying upside down in a massive pool of blood. They slaughtered his neck." Jamaluddin Mir, a police officer, revealed that at least seven other people were trapped inside the office when the attack was carried out. "The criminals introduced themselves as customers who were buying books and entered the publishing house," he said, adding that an investigation to identify the attackers was under way. The publisher had filed a complaint with police after being threatened with death in a posting on Facebook following the attack on Roy. "The situation is becoming increasingly dangerous for those brave enough to speak their own minds. The latest heinous criminal attacks are a deliberate assault against freedom of expression in the country. Given the horrific pattern of violence, we have reason to believe many other lives are now at risk." There seems to be a Bangladesh blogger hit list,in fact there is.That is pretty obvious.It remains to be seen though if this is the final mission of the killers of if they still have many more names on their hit list.Surely it should be easy to track these men.It can't be that hard to spot 7 men on CCTV.